Moorings. The MYC does not have docking facilities. However, Club owned or managed moorings are available for members at reasonable rates. Tender Parking. Visiting yachts may leave their tenders on the Club premises while ashore. While generally safe, the Club is not staffed 24 hours per day and is not responsible for tenders left unattended. Mail Holding. Visiting yachts may have mail sent MYC to be held for arrival at: Marianas Yacht Club, PO Box 2297, Hatagna, Guam 96932, USA. 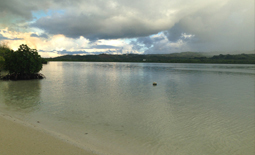 As a U.S. territory, Guam is served by the U.S. Postal Service. Showers. Outdoor showers are available at no charge to visiting yachts. Telephone Service/WiFi Available. We offer free telephone and Wifi services during your stay. Please check it at the snack bar for wi-fi connectivity. 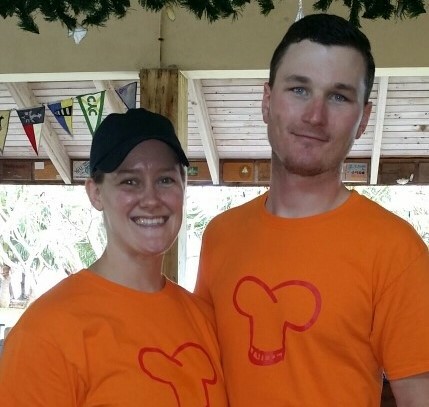 The Marianas Yacht Club Snack Bar is managed by Thyme for a Bite Kitchen and is open Friday's from 6pm - 9pm, and Sunday's from Noon - 6pm. Stop by and say Hello to Terri Hotmer. She has a regular menu and offers specials every week! 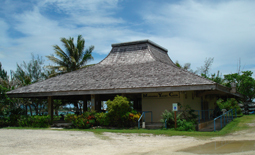 The Marianas Yacht Club offers it's Clubhouse and Grounds for member and outside rentals. All inquiries must be submitted in writing, and along with the required deposit, in advance of 30 days notice. All applications, both outside and member private parties are subject to approval. To apply for facility rental, please download and review the following Facility Use Map and Application form. To apply, please complete and email directly to board@marianasyachtclub.org.